Home » Reviews & Articles » Hardware » CPU/Processors » AMD » AMD Ryzen 5 2600 – Does AMD Have an Underrated Gaming Beast? Before we start talking about the new RYZEN 5 2600, I feel a little history is in order as to how RYZEN came to be. AMD is one of those companies that I think really does not need an introduction at this point. They have been part of the semiconductor industry for almost as long as semiconductors have been produced. Obviously, that’s an exaggeration or oversimplification but it’s not far from the truth. AMD fell to the wayside for many gamers and users in the AM3 platform as they seemed to have stagnated as Intel rose up and left them far behind with their newly introduced Core series processors. That trend started to create the dichotomy of Intel being a leading brand while AMD was more a bargain cheap brand with sub-par components. AMD themselves have used marketing which has leveraged this fact by making themselves marketing which promoted being the “peoples choice” or more importantly for the people (gamers) and not wanting to gouge gamers while focusing on gamers and creating a premier experience. While that is all well and good from a marketing standpoint it does not help when you have chips such as the FX 9590 which would not cool effectively even with an AIO cooler. Now enter today and it’s like a completely new AMD has stepped forward. IT started about 2 years ago, maybe slightly longer when rumors were swirling about a whole new architecture named “Zen” which many were concerned would be another spin on the AM3+ based FX chips as they had seen before. Little did they know they were in for a complete core redesign and new chipset and architectural functionality unlike any they had seen before. Now enter RYZEN which launched about a little over a year ago and it was met with a bunch of hype but enthusiasts were quick to criticize all of the shortcomings from memory support to lack of overclocking headroom. 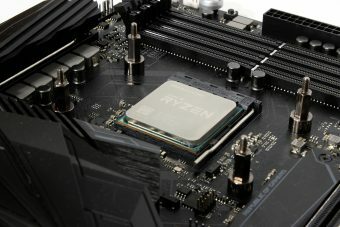 AGESA code updates started rolling out via motherboard BIOS updates which started to address and mitigate the memory issues, however, the fact that XFR (AMDs boost clock mechanism) reached similar speeds to what you can max most chips out when overclocking left users feeling like they were limited. Add to this the fact that performance for this platform is heavily tied to memory speed as the Infinity fabric speed rides directly on the memory frequency, this means for best performance you’re gonna want a 3000-3200+MHz kit. What people don’t understand is the difficulty involved in designing a completely new core architecture and with my experience working within the industry, I feel I can explain this rather well. There is only so much you can “Figure out” before a product goes out as AMD has very little control over what end users integrate ort plug into their rigs and that means there is such a mess of variability that they have to sometimes wait to hear consumer feedback to better their product. 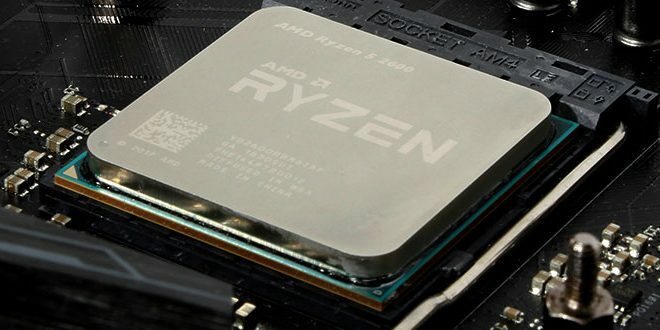 The CPU we have today is the 2nd Gen Ryzen 5 2600 which is in no way the top end SKU and more of a “middle of the road” SKU which makes it a great chance to show if AMD really is the peoples champion of CPUs for gamers. Now as you can see this is a David vs Goliath comparison in a sense since this is the top end Intel SKU but being 6 core with multithreading it should be a reasonable comparison minus of course price and frequency. With those two things considered you would think I am heavily weighting the world against the RYZEN part right? I thought the same and never thought this would actually work out the way it did but when you consider the price disparity of $ 214 dollars it means you could likely get a 1600 CPU, cooler (In-box) and motherboard for what you would pay for just the Intel part. I just made a quick calculation and you could have the exact motherboard and 2600 with its boxed cooler for $60.99 over what the 8700K itself costs. This means you get a great value but that’s only part of the story as value parts are always junk right? Well, that’s what we’re here to take a look at. AMD has made a chip that performs with the best of the bunch and even bests them in some scenarios. The RYZEN 5 2600 is one amazing value for gamers.